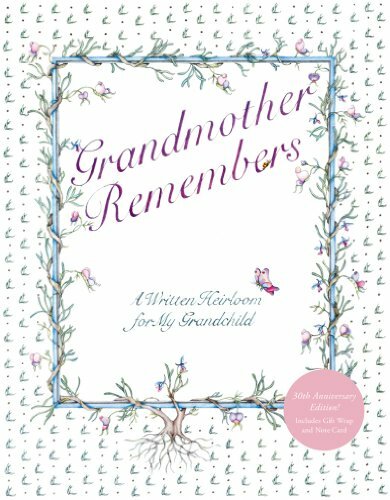 Grandmother Remembers is the original, bestselling keepsake book for grandmothers to record important memories, family traditions, favourite recipes and special stories to pass along to their grandchildren. With more than 1.6 million copies sold, the book continues to appeal to new generations of grandmothers. This special 30th anniversary edition includes specially designed wrapping paper and a notecard with envelope for convenient gift giving. Judith Levy is the author of several keepsake books, including Grandmother Remembers Holidays. She and her husband Herb were named Grandparents of the Year in 2007 for the state of Florida, where they live.